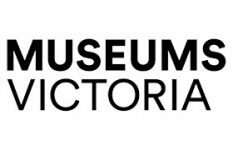 Lynley Marshall was appointed Chief Executive Officer of Museums Victoria in February 2017. Museums Victoria comprises the Melbourne Museum, Scienceworks and Immigration Museum, as well as the World Heritage-listed Royal Exhibition Building and IMAX Cinema at Melbourne Museum, attracting about 1.8 million visitors a year. There are over 700 members of the Museums Victoria staff and 500 volunteers. Prior to joining Museums Victoria, Lynley was CEO of the International Division of the Australian Broadcasting Corporation. Lynley also served as Director of ABC Commercial and as Director of ABC New Media and Digital Services. Before joining the ABC, Lynley held a number of senior executive positions, including at Director level, in radio, television and new media in New Zealand.